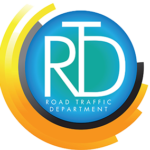 The Road Traffic Department has launched a computerized, Transport Management System “TMS” in New Providence, Grand Bahama, Eleuthera and Abaco. All other Family Islands will be transitioned to this system in the near future. Valid Business Licence with TIN or Certificate of Incorporation if it is a holding company.